This is the island’s agricultural centre and the destination for most visitors seeking outdoor activities. As elsewhere in Greenland, the scenery is amazing but, surprisingly for some, it is particularly colourful. The verdant landscape is dotted with towns and villages. There are working sheep farms; Inuit and Norse ruins and at Uunartoq and not far from Qaqortoq, the only hot springs in Greenland – where it is possible to bathe in the warm waters whilst watching icebergs floating in a nearby fjord. 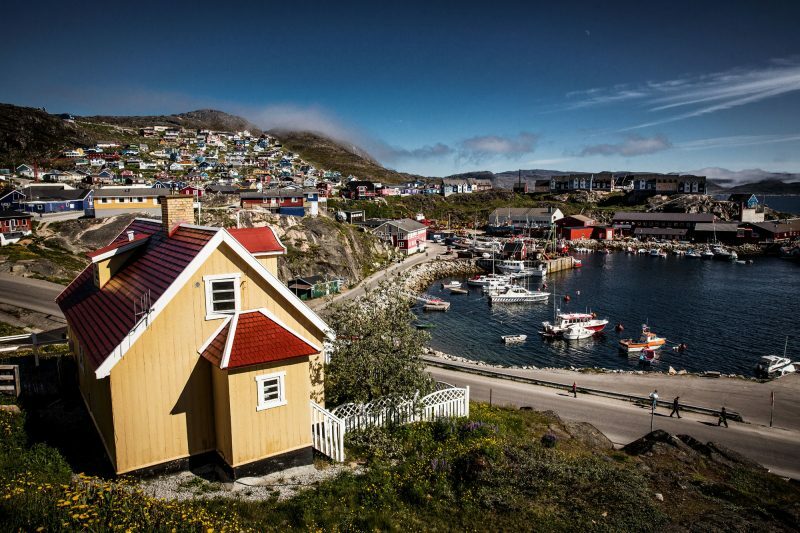 Qaqortoq has a population of 3,500 and is the hub of South Greenland. With its multi-coloured houses perched on a mountainside it rates as one of the islands’ most beautiful towns – it also boasts the only fountain in the country, in the old square surrounded by historic buildings dating back to 1781. Narsarsuaq, the town founded in 1941 as a US Air Base, is another town worth visiting. 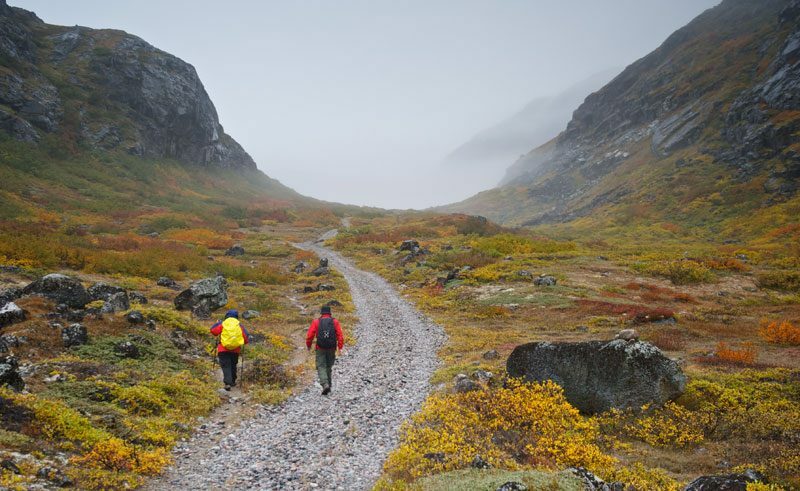 From here, hike through Flower Valley where photographic opportunities are endless – the abundance of wildflowers set against a backdrop of glaciers and rugged mountains is of special interest, so too are the best-preserved and most famous Viking ruins in Greenland. With the presence of the midnight sun here between mid-May and mid-July, there are plenty of activities and sights to see during the long days.